Bait, Tackle and Fishing License Included! Drop'em down, 10 cranks off the bottom.... Bump, Bump... Set the Hook! Your On! Reel, Reel, Reel! Friendly and Helpful Captain and Crew! Tackle, Bait and License Included! Are you ready to catch fish like this? For over 20 years Island Girl Charters has been the leader in Gulf Shores Deep Sea Fishing Trips. Come have the opportunity catch Red Snapper, Grouper, Triggerfish, Mackerel, Tuna, Marlin, Cobia and much more. Book your fishing adventure today and catch big fish. Every offshore deep sea fishing trip that we provide offers the opportunity to catch many different species of fish. While longer trips generally afford the ability to catch bigger fish, each fishing charter is sure to provide you with lasting memories and a cooler full of fish filets. Located right on the coast of Gulf Shores, Alabama we a short drive from Pensacola, Mobile and most of the Gulf Coast. Below is a small list of some of the different types of fish you have the chance to catch while deep sea fishing on Island Girl Charters. Ready to have Fun and Catch Big Fish? 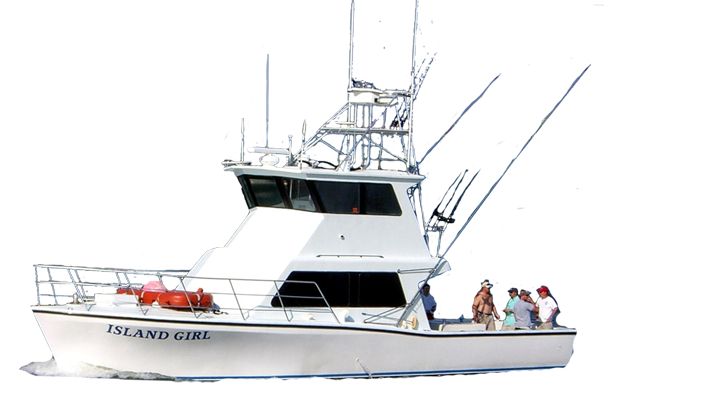 If you’ve been looking for something fun and entertaining to do with the family, co-workers or a group of friends, it’s hard to beat a Deep Sea Charter Fishing Trip aboard Island Girl. Our trips are perfect for all ages and nothing is more exciting than reeling in a big Snapper, Grouper or Amberjack. 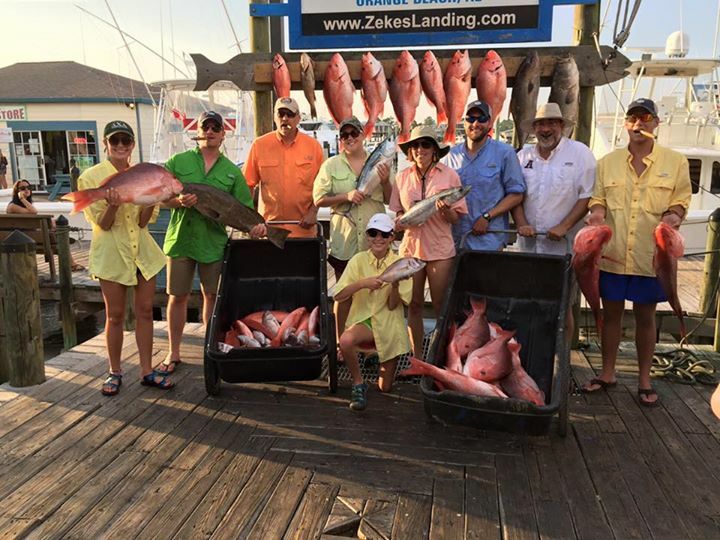 Call us today at 251-979-0337 to book your fishing trip today. It’s been awhile since our last post. We have fished mostly full day trips with a few half days and one 2 day trip in the mix. It’s mostly been red snapper, but there have been some mackerel, cobia, scamp, grouper, and vermillion snapper along the way. Some of the days the fishing was not easy, but Chase, our anglers, and I didn’t give up which shows in our pictures. Thanks to all who have fished with us so far this season. 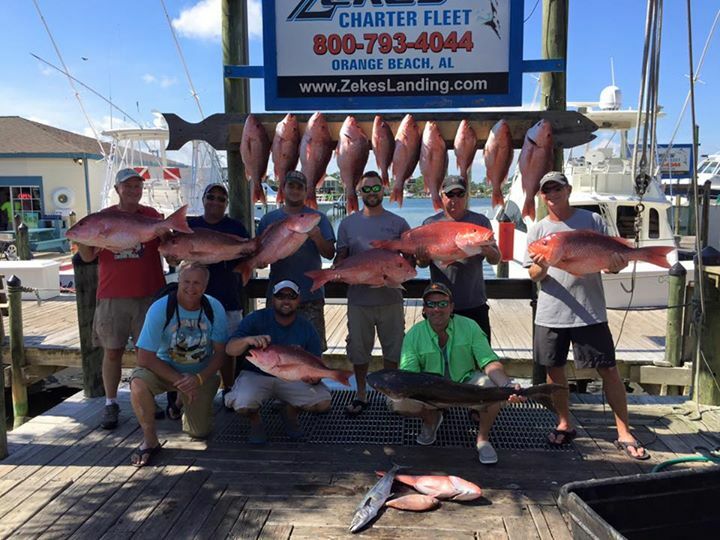 If you are looking for a fishing trip, we still have days available during red snapper season and beyond. Please contact us to book your trip! The fishing this past week turned out some nice catches of red snapper and vermillion snapper. Some days were easy, but a few of the days we really had to work to make it happen. Rough seas, strong currents, and a slow bite made us put in a lot of extra effort to come back with good catches. Chase and our anglers definitely deserve all the credit. The good news is, the seas are calm with lighter current, and the fish are biting. We have some days left available in July before the red snapper season ends. We also have days available after the season. When the red snapper is closed, we fish for some of the other snapper species, such as vermillion. Last year in July and August, we had some great catches of vermillion snapper. Give us a call to book your fishing trip! We have had some really good trips this past week despite all the rain. We have everything from 6-12 hour trips. The 6 hour trips have produced red snapper and a few mackerel. 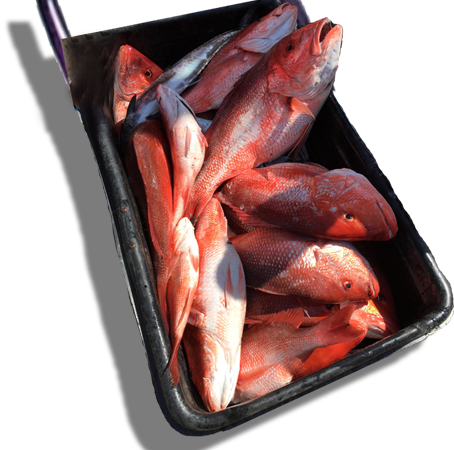 While the longer trips have produced the red snapper and good catches of vermillion snapper. The current offshore has been so strong that we have not been fishing for grouper and scamp. Hopefully the current will subside enough to let us do some scamp fishing in the next few days. We still have days available for the red snapper season. There are not any weekend days left, but we do have some weekdays open. Also, contrary to some news that is being circulated, federal permit charter boats can fish for red snapper everyday of the week through July 21. If you are interested in a trip, please give us a call. The Best Charter Experience in Orange Beach! 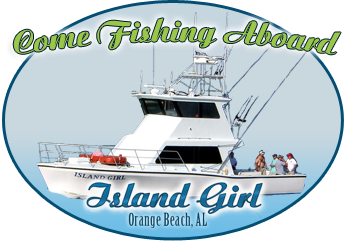 Fishing aboard the Island Girl offers safe, clean fun for families, friends, coworkers and more. Let our captain guide you to the big fish while you enjoy the trip out and bet who will catch the biggest fish. Once it’s time to go fishing, our experienced deck hands will help show you how to get the big ones to bite and show you how to fight them up to the boat. The tug on the rod is enough to excite all ages and nothing is more satisfying than cooking up your catch while you tell fish stories of how the biggest one got away and how much fun you had while fishing in Orange Beach. A great team building experience for companies! A great bonding opportunity for all ages! Safe, Clean fun for bachelor parties or graduation.